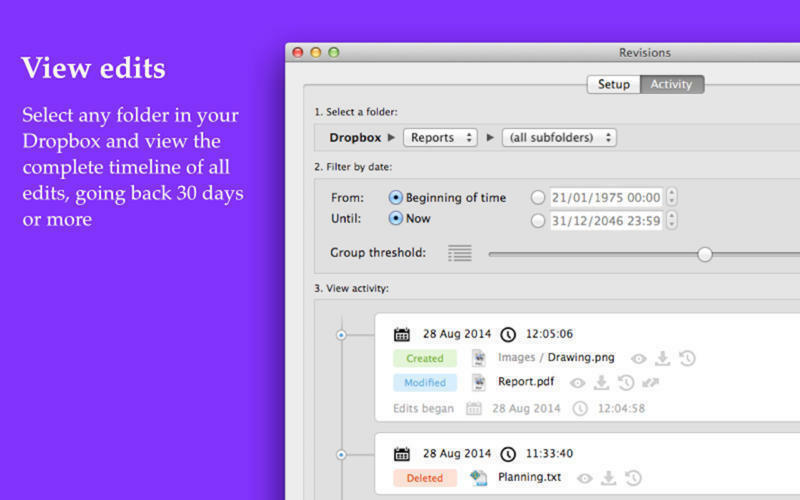 View all your Dropbox activity, past and present. Is there a better alternative to Revisions? Is Revisions really the best app in Backup category? Will Revisions work good on macOS 10.13.4? The app has been updated to use the new Dropbox API (version 2), as the old API is deprecated. All versions of Revisions prior to version 3.0 will not be able to access Dropbox anymore after January 31st, 2018. See the News page for more information. 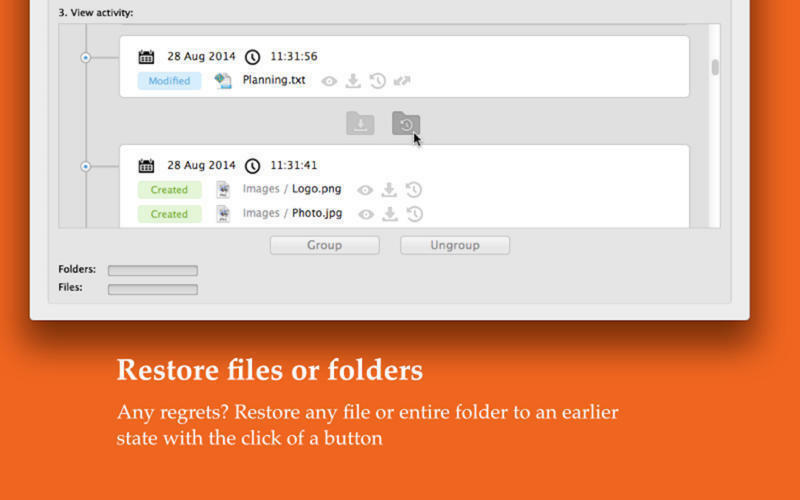 In essence, Revisions provides for "track changes" functionality for all the files in your Dropbox. Under the hood, Revisions relies on functionality already built into Dropbox: For all accounts (including free accounts), Dropbox stores all versions of all your files for the past 30 days. For paid accounts with the optional 'packrat' feature, and for business accounts, Dropbox stores your entire history, indefinitely. Revisions allows you to access and make use of all this data of yours in an intuitive way. Using Revisions you can use Dropbox as a simple online backup solution, allowing you to restore old versions of your files in case you or somebody else makes a mistake that deletes or modifies your files. 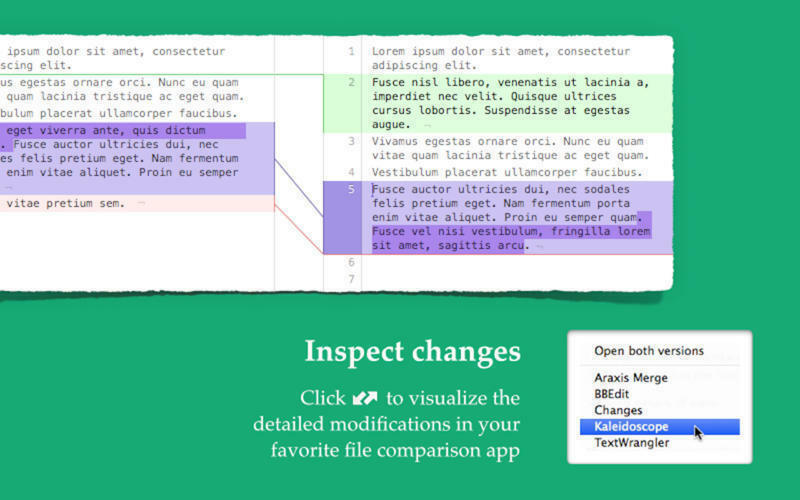 Revisions allows you to use a variety of external apps to show the details of individual file edits: You may use Kaleidoscope, Changes, Araxis Merge, BBEdit, or TextWrangler to see changes in text-format files. We are committed to customer satisfaction.